Cabela’s Inc., of Sidney, Neb., is recalling about 3,000 food dehydrators. Defective wiring can cause a build-up of heat, posing a fire hazard. The firm has received nine reports of the product malfunctioning due to defective wiring. No injuries have been reported. 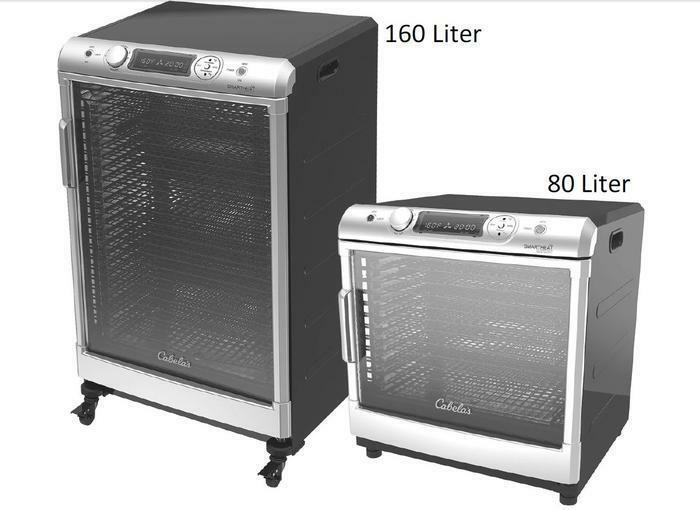 This recall involves Cabela’s commercial grade 80-liter and 160-liter food dehydrators. The stainless steel dehydrators have moel numbers 541549 on the 80 liter, and 541650 on the 160 liters. Model numbers are located on the back panel of the dehydrator. The dehydrators, manufactured in China, were sold at Cabela’s stores nationwide and online at Cabelas.com from August 2016, through September 2016, for about $300 for the 80-liter model and $415 for the 160-liter model. Consumers should immediately stop using the recalled dehydrators and contact Cabela’s to receive a replacement product or a refund. Consumers may contact Cabela’s at 800-237-4444 anytime, or online at www.cabelas.com for more information.